Astronomy Days is an indoor/outdoor festival located in and around the NC Museum of Natural Sciences in Raleigh. Parking is available in six different lots nearby. Free street parking is also available throughout downtown the day of the event. Don’t let parking send you into orbit: take the bus to Astronomy Days 2019! Since this event draws more than 16,000 people each year we encourage visitors to consider alternative transit options. From Raleigh: There are a number of routes available throughout the city that will get riders close to Astronomy Days. See GoRaleigh for detailed ride information. Any route traveling outbound via Wilmington Street will get visitors close to the Museum or to Edenton Street. Those routes are 1, 2, 3, 4, 6, 8, 12 and 16. Inbound, routes 2, 3, 4, 6, 8 and 16 use either Salisbury Street or Morgan Street and will get visitors close. From Durham: GoTriangle Route 100 stops at the corner of Salisbury and Morgan Streets (#8063), about a block from the Museum. Route 100 runs every 30 minutes on Saturday, 7:30am (leaving for the Museum) to 5:40pm (returning to Durham). Thereafter it runs hourly, with the last Route 100 bus leaving GoRaleigh Station for the Regional Transit Center at 9:40pm. Park at the Regional Transit Center, 901 Slater Road in Durham, to catch this bus. From Cary: GoTriangle Route 300 from Cary Train Station (#1398) stops at the GoRaleigh Station, three blocks from the Museum. Route 300 runs every 30 minutes on Saturday from 7:00am (leaving for the Museum) to 7:30pm (returning to Cary). Thereafter it runs hourly, with the last Route 300 bus leaving GoRaleigh Station at 9:30pm for Cary Train Station. Park at the Cary Train Station, 211 North Academy Street in Cary, to catch this bus. 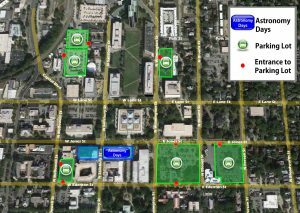 For more information or to map the best bus route from your home to the Museum, visit the local agency websites or call 919.485.7433. For other alternative transportation options to and within Raleigh, including Amtrak trains and bicycle rickshaw companies, see godowntownraleigh.com.